Songbirds are perhaps our most familiar birds, including most of the species that visit our gardens. They also include our best-known extinct bird – the huia, which has been extinct for about a century. Many people blame hunting by humans (for specimens to sell to collectors, or for the much-prized tail feathers) for the huia’s demise, but it is likely that introduced ship rats and stoats were the final nail in the coffin. Huia originally occurred throughout the North Island, but were confined to forests of the southern North Island by the 1800s, particularly the Ruahine and Tararua ranges. Regrettably, the huia was not the only New Zealand songbird lost in the last century or so. 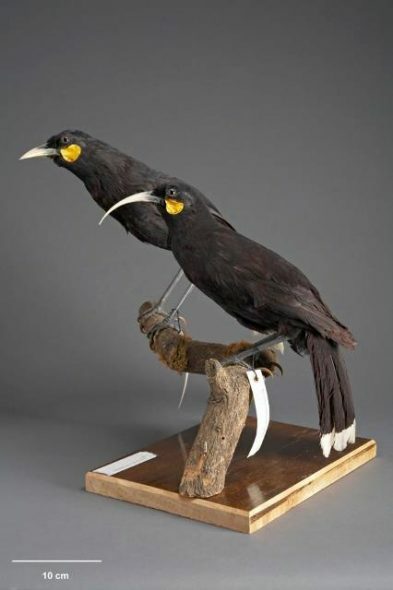 There are seven other extinct songbirds for which Te Papa holds mounted specimens or study skins. Perhaps the most infamous of these is Lyall’s wren (also known as the Stephens Island wren), whose sad tale was told in the school journal article ‘The lighthouse keeper’s cat’. This slightly apocryphal account describes how David Lyall’s cat both discovered and exterminated the wren in 1894, soon after a lighthouse was erected on Stephens Island, marking the western entrance to Cook Strait. The reality was that there were multiple cats introduced to the island, along with clearance of most of the forest, tragically contributing to the extinction of South Island piopio and South Island kokako as well as the wren. The name change to Lyall’s wren is an acknowledgement that the species formerly occurred also on the North and South Islands (as indicated by bones found in cave deposits), before being extirpated there by Pacific rats (kiore) introduced by Polynesians. Lyall’s wren was just one of five species of New Zealand wrens lost since humans discovered Aotearoa/New Zealand, leaving the tiny rifleman and rock wren as the sole surviving member of this endemic family. Genetic studies have confirmed earlier suspicions that New Zealand wrens split off from the diverse song bird tree earlier than any other group or family, indicating their ancient history in New Zealand. Many species were flightless or had limited flying ability, which contributed to their extreme vulnerability to introduced rats and other furry predators. 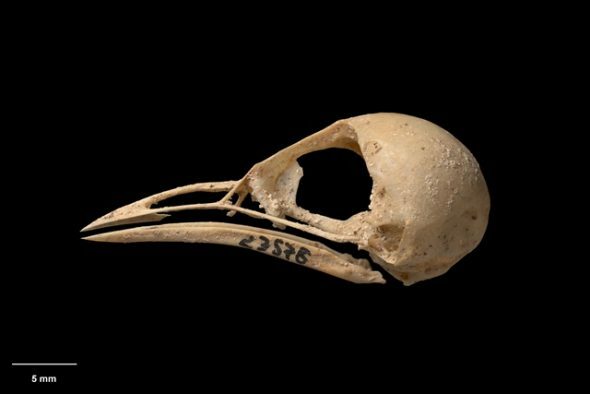 Three of the extinct wren species (North Island stout-legged wren, South Island stout-legged wren and long-billed wren) are known only from bones found in cave deposits – their tiny bones are too delicate to survive in the swamp and dune deposits that often hold bones of moa and other large bird species. 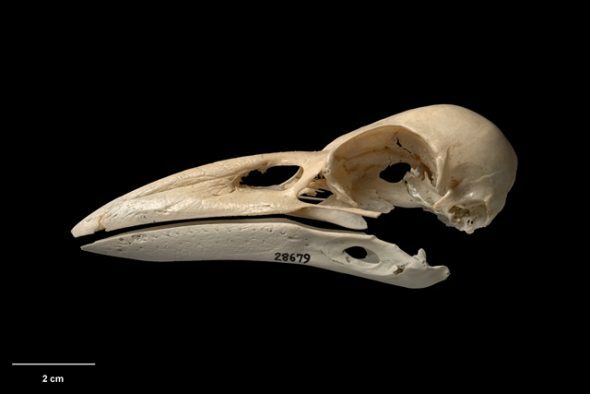 At the other end of the size scale for songbirds, New Zealand also lost two raven (crow) species in the last 800 years. The New Zealand raven and Chatham Island raven were among the 4-5 heaviest songbirds known, with estimated bodyweights of about 1 kg. Little is known about their ecology, but it is likely that they hunted small animals and scavenged along coastlines. Recently extinct New Zealand songbirds: bush wren, Lyall’s wren, North Island stout-legged wren, South Island stout-legged wren, long-billed wren, South Island kokako (possibly surviving), huia, North Island piopio, South Island piopio, Chatham Island bellbird, New Zealand raven, Chatham Island raven, Chatham Island fernbird. Rescued from the cats. Love Native Life. Thank you for yet another brilliant bird blog in your very interesting and informative series. Thank you Colin, your blogs are always so interesting and well-written. The current series on extinct.birds makes sad and sobering reading. 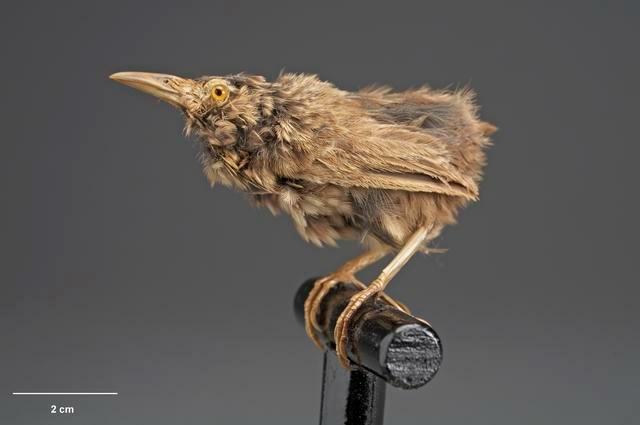 Poor little Lyall’s wren – the specimen looks as if it has been rescued from a cat! Thanks very much for your comments Alison. The bird shown is Te Papa’s sole skin of a Lyall’s wren. Its faded and tatty condition is due to it having been on display for many years. There are 14 further skins known (all collected by David Lyall’s cat), held by eight other museums in the United States (7 specimens), England (4 specimens) and New Zealand (Canterbury and Otago Museums, 3 specimens). Most of these are study skins that have not been on display, and give more of an idea of the colours and markings of the live bird. If you follow this link to the Lyall’s wren page on NZ Birds Online, there are photographs of one of the Canterbury Museum specimens, plus two artists’ representations of what the bird might have looked like in life.